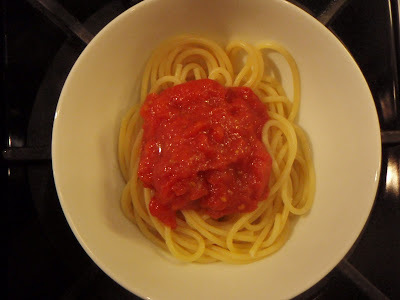 This recipe is blogged about all over the place by lots of wonderful and very popular food bloggers. My family adores it and I know yours will too! 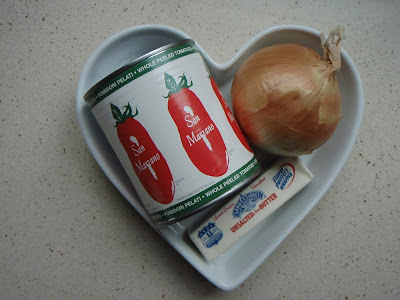 Three ingredients equals super easy! 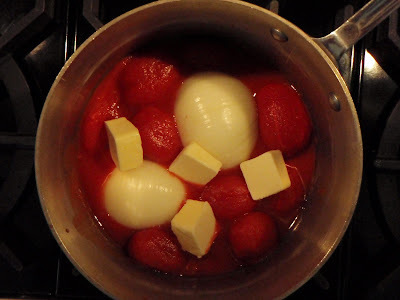 Combine the tomatoes, their juices, the butter, and the onion halves in a medium saucepan. Place over medium heat and bring to a simmer. 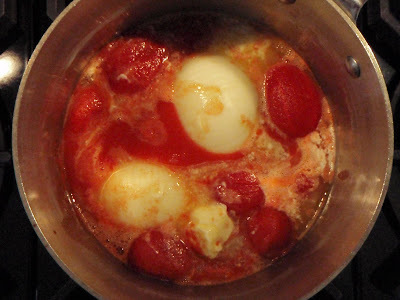 Cook, uncovered, at a very slow but steady simmer, adjusting the heat as necessary, for about 45 minutes, or until droplets of fat float free from the tomato. 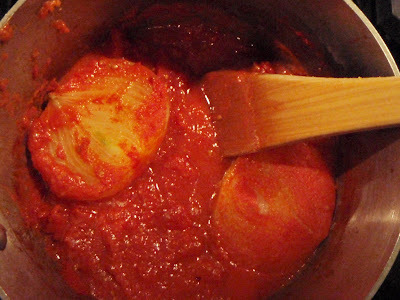 Stir occasionally, mashing any large pieces of tomato with the back of a wooden spoon. 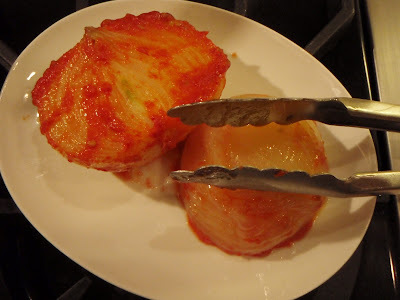 Discard the onion before tossing the sauce with pasta. This recipe will be enough for 1 pound of pasta. The ingredients --this is it!! This looks amazing. Your photos are so great! Told my mom about your blog today. She's looking forward to trying the crock pot carnitas. This looks so yummy! Cannot wait to make it for my family! Do you follow smittenkitchen.com? One of my favorites. Can't wait to see your list of food sites. Your site is inspirational! Thank you!